If you suffer from acne despite eating healthily and training hard, it may be the whey protein you’re using that’s the problem. The American dermatologist Nanette Silverberg came to this conclusion after studying five male teenagers who suffered from serious acne. They all used whey supplements and their acne improved after stopping. Until recently scientists sneered at everyone who dared to suggest that acne might have something to do with diet. How could anyone possibly be so stupid as to think that a diet consisting, say, of refined carbohydrates and industrially produced fats could cause acne? How could anyone possibly suggest that the big food giants, that altruistically influence finance all that scientific research, would put products on the market that are not good for us? Nevertheless there are studies that show there is a relationship between diet and acne. In 2002 Loren Cordain, founder of the palaeo-diet, demonstrated that acne is not found among indigenous peoples such as the inhabitants of Papua New Guinea and the Aché indians in Paraguay. [Arch Dermatol. 2002 Dec; 138(12): 1584-90.] Cordain ascribed this to the absence of food containing easily absorbed carbohydrates in the diet of these two population groups. In another study the same Harvard epidemiologists also found that there was not only a relationship with milk but also with cottage cheese. [J Am Acad Dermatol. 2005 Feb; 52(2): 207-14.] Milk contains whey, as does cottage cheese. Milk proteins contain about twenty percent whey. 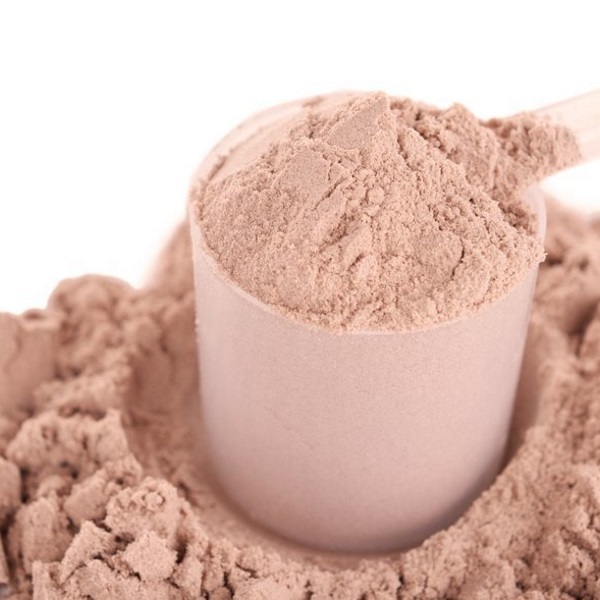 Whey protein is different from other proteins because it boosts the secretion of insulin much more. If whey in our diet increases the chance of developing acne, then you’d expect to see that in young people who use whey supplements, Silverberg reasoned. And hey presto: the dermatologist found five young men in her own practice with serious acne and who used whey supplements. Two of them wanted to gain weight and three were using whey to develop more muscle. Silverberg asked the five of they were prepared to stop using whey, but they refused. Whey seems to have ‘addictive potential’, the doctor noted to her amazement. But when the young men stopped using whey of their own accord after some time (which they all did) their acne became less severe – and Silverberg was able to treat it with benzoyl peroxide cream or oral antibiotics. Silverberg had already started using this medication on the young men before they stopped with the whey, but it had either had little or no effect. One of the young men was in the middle of his second course of isotretinoin when he stopped using whey supplements. His first round had had no effect, but when he stopped using whey his acne disappeared. After her subjects stopped using whey Silverberg noticed a visible improvement within two weeks.